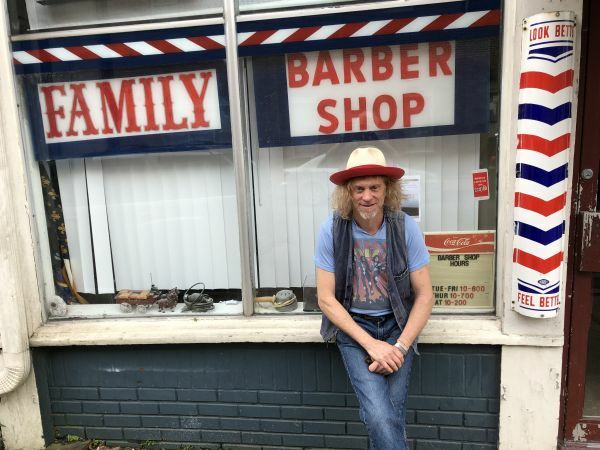 Oxford, Mississippi’s Jimbo Mathus (Squirrel Nut Zippers, South Memphis String Band, Dirty Crooks) has blazed a singular path as a singer, songwriter, guitarist, producer, and shaman for 40 years, recording and releasing more than 300 songs that are a testament to his hoodoo craftsmanship and to the sounds, sights, and spirits of his inspirations in the deep South. Mathus’ new deeply personal album, Incinerator, which releases on April 5 via Mississippi’s Big Legal Mess Records, is the epitome of that art — an incendiary reflection of his world in music. The album reflects Mathus’ life making classic American music and other guests include rising Americana star Lilly Hiatt, violinist and Squirrel Nut Zippers member Andrew Bird, and Kevin Russell of Shinyribs. The Big Takeover is pleased to host the premiere of the reflective “Never Know Till It’s Gone” off of the LP. Contemplative, but lighter vintage piano notes open the song and then are bolstered by a sedate drum pace and relaxed, short waves of reverb guitar. Mathus warmly muses and proclaims with a hazy shadow of regret the hard-won knowledge of the track’s title. On top of supporting his upcoming album, Mathus will also continue touring this year with the Squirrel Nut Zippers, a band he co-founded in 1993. Despite several hiatuses, the Zippers have continued to play their eclectic blend of gypsy jazz, swing, and Delta blues over the decades, and released their seventh studio album, Beasts of Burgundy, last year.